As Mark Darcy from Bridget Jones would say, you like Friends just the way it is. Despite some of the inconsistencies, plot holes and story lines that keep you up at night, it’s perfect just as it is – and you’d be horrified to see anything change in the series that ruled your life for nearly 9 years and held the most expensive advertising slot on a Friday during the break of Friends . 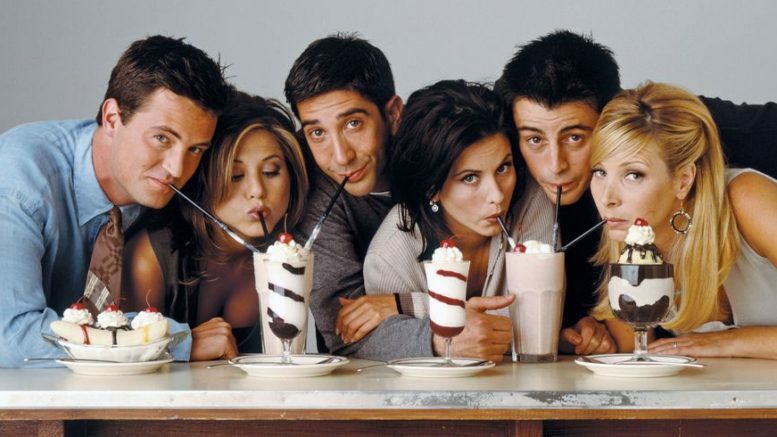 But it wasn’t always meant to be the way it turned out: actually, at the very beginning, Friends creators David Crane and Marta Kauffman wanted to cast different actors as Ross Geller, Rachel Green, Monica Geller, Chandler Bing, Phoebe Buffay and Joey Tribbiani. Here are the most famous 11. Before he hit the big time in Will & Grace, Eric McCormack auditioned to play Ross Geller – but later revealed he thought the part was written with David Schwimmer in mind. “I needed to start pulling at this other sort of funnier, lighter side. So I auditioned for everything,” he told Huff Post. “I auditioned for Friends even. I auditioned for Schwimmer’s part. Before starring in Unbreakable Kimmy Schmidt, Jane auditioned for the role of Rachel – and joked in an interview with Giuliana Rancic on the 2015 Emmys red carpet that her “business manager is very sad” she didn’t get a call back. Two and a Half Men’s Jon Cryer explained on The Late Late Show With James Corden: ‘I was working in the UK and got a call from [Friends executive producer] Marta Kauffman, and she had a script called ‘Six of One’. Could that BE any more annoying? Friends casting director Ellie Kanner told Huffington Post that when Vince Vaughn auditioned to play Joey, though he was “handsome and tall” and a “good actor”, he just didn’t fit the part as well as Matt Le Blanc did. “It’s just a matter of putting the pieces of the puzzle together”, she added. “That would have been a little different”. Er, so this one isn’t so much as a nearly played him, but rather really wanted to. Still, he got a cameo as Phoebe’s Science Guy, so all’s well that end’s well. Sort of. You might not believe it, but Friends creator David Crane revealed he initially wrote the role of Monica with Reality Bites’ Janeane Garofalo in mind – it was only when Courtney Cox nailed the audition that they changed the character a bit. In the same Vanity Fair interview, Warren Littlefield, the former president of NBC Entertainment, explained that because Matthew Perry was initially tied into a pilot for Fox, he couldn’t commit to the role of Chandler – so he trained actor Craig Bierko up for the role instead. Yep, the casting directors actually wanted Courtney to play Rachel, not Monica – but it was only when she auditioned as Monica and “brought a whole bunch of other colours to the role”, that she got it. “We originally offered Rachel to Courteney Cox,” says creator Kauffman, “but she said she wanted to do Monica, not Rachel”. The King Of Queens actress made it through the studio audition and to the network, where it was narrowed down to her and one other actress (side note – maybe Nancy McKeon?! See point one). But instead of picking, the casing directors asked them both to leave because they had someone else to see. She does feature in ‘The One With the Birth’, though. Friends’ Ugly Naked Guy’s identity has been revealed! Kathy Griffin revealed during a chat with Huff Post Live that both she and Jane Lynch (who went on to play Sue Sylvester n Glee) auditioned to be Phoebe.